DAV (Deutscher Alpenverein) is the largest Mountain Sports Association in the world and one of Germany's major sports and nature conservation associations. 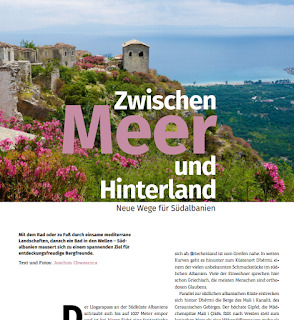 DAV recently published an article about Albania, specifically about Southern Albania written by journalist Joachim Chwasczca. Mediterranean landscapes of the southern Albania can be enjoyed by walking or biking on the roads with spectacular views from the sea. Llogara Pass is one of the most beautiful roads in Albania, is a high mountain pass with the highest point of 1, 027 m within the Ceraunian Mountains along the Albanian Riviera. The platform allows you to have the best view of all the area. It seems like you are seeing this view from an airplane. Der Llogarapass an der Südküste Albaniens schraubt sich bis auf 1027 Meter empor und ist bei klarer Sicht eine fantastische Aussichtskanzel. Der Pass ist Grenze und Wasserscheide zwischen dem Adriatischen und dem Ionischen Meer. Steht man oben an einer der Aussichtskanzeln, fällt der Blick wie aus einem Flugzeug nach unten und folgt dem tausend Meter tiefer liegenden Küstenbogen bis zur Hafenstadt Saranda, dem antiken Hafen Onchesmos. 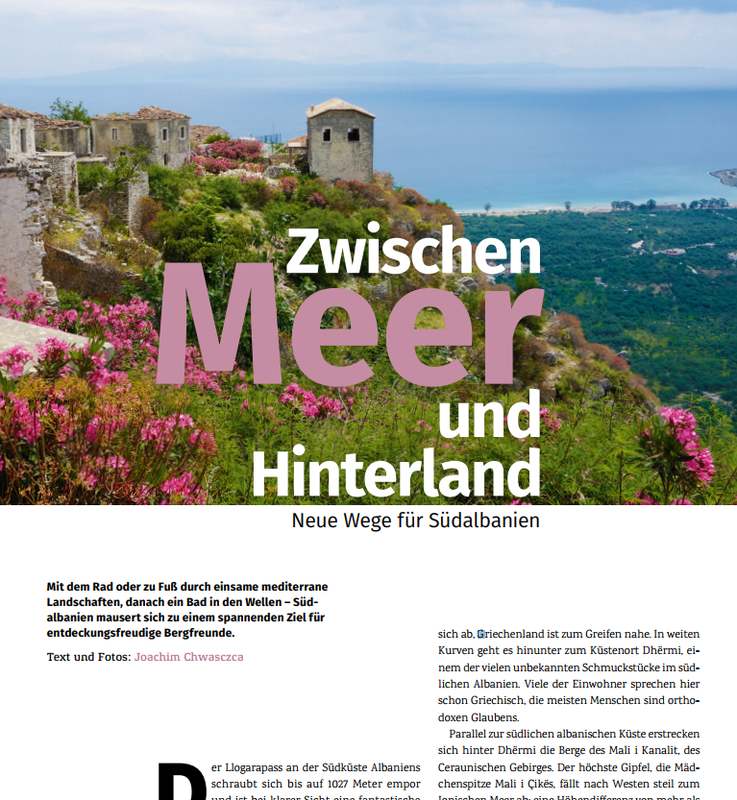 Die Insel Korfu zeichnet sich ab, Griechenland ist zum Greifen nahe.